Abu Dhabi and the UAE has come a long way in a very short time, undertaking a miraculous journey of transformation from a modest trading nation to one of the most advanced economies in the world in the space of less than 50 years. Our knowledge bank of transportation experts from around the world combine with a growing number of Emiratis educated both within the UAE’s high education sector and around the world. This makes the UAE an exciting, innovative and stimulating environment for transportation professionals. The World Roads Association is an invaluable source of expertise and knowledge and it is with great pleasure that I extend an invitation to Ministers, road administrations, companies and professionals from the transport sector to join us at the 2019 World Roads Congress, Abu Dhabi. I can promise an exciting, entertaining and professionally stimulating event and guarantee that you will enjoy the legendary Arabian hospitality. Connected technology and innovative transport service models are providing opportunities to change the way solutions are provided, connecting cities and neighborhoods. A well-designed and efficient transport system contributes to economic growth and helps in refining the quality of life of the people, thereby becoming one of the most important sectors of urban development. Contribution of new technologies such as artificial intelligence has the power to enhance road safety strategy and reduce accidents. AI can predict potential risks relating to an operator driving a vehicle using information obtained from various interior and exterior sensors, vehicle onboard computer and cloud network. Understanding the challenges and solutions, the actual core of many of the transport issues including daily work travel, heavy traffic and public transport movements, road work requirements and major events that creates congestion and affects mobility. 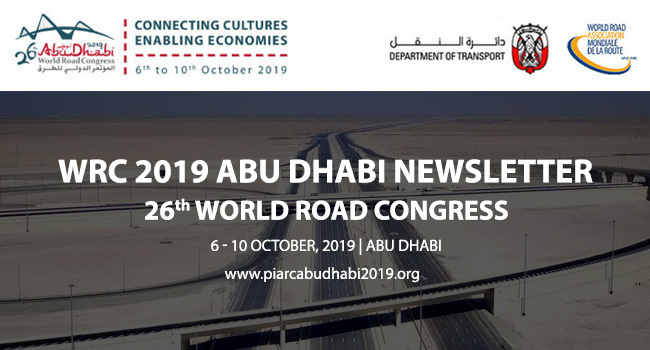 We are delighted to announce that registration for the World Road Congress Abu Dhabi 2019 is now open! Book your delegate pass NOW to take advantage of the Early Bird Rates! 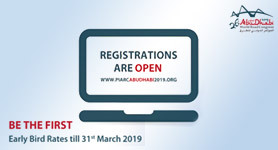 Visit www.piarcabudhabi2019.org for more details about the Congress and the registrations. In 2018, the Abu Dhabi Department of Transport (DoT) and Abu Dhabi Future Energy Company (Masdar) have signed a Memorandum of Understanding to develop sustainable, smart, innovative and autonomous transport technologies to be implemented locally in the framework of the transport strategy of Abu Dhabi. 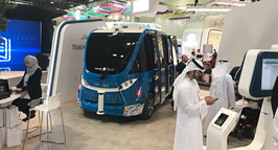 Last October at GITEX, both institutions unveiled their brand new “Autonom® Shuttle” project, self-driving electric vehicle for public transportation. 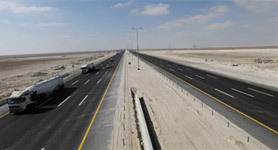 The 26th World Road Congress Abu Dhabi 2019 released last November a new Podcast, during which influential local and international experts talk about road, transport and infrastructure projects and innovations ongoing worldwide and regionally. As a participant of PIARC World Road Congresses since Durban, I would unreservedly endorse the event as the essential worldwide gathering for road practitioners. The WRC congress provides a unique opportunity to meet, discuss, learn from and enjoy the company of colleagues from other parts of the globe. There is no other event that presents the range and depth of knowledge from both the policy and technical perspective. If there is one international event you need to attend in 2019, it is the Abu Dhabi WRC.